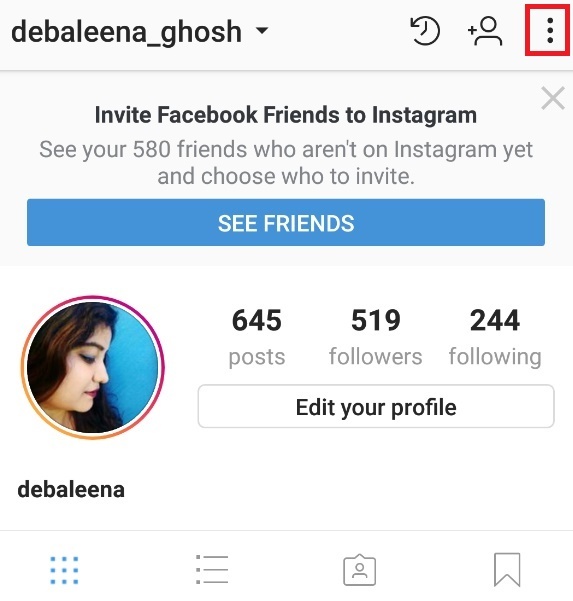 Home > News > How To Save Your Instagram Stories in Your Phone gallery? Instagram Stories has now integrated a plethora of new features and a lot of customization options. Previously, you could update your story and the story was visible only for 24 hours. After that, the stories disappear from your Instagram Account leaving no trace behind. Now, the feature has been enhanced to a great extent. Even though the Stories disappear after 24 hours, but now you can save the stories to your gallery. By this, you can preserve your memories forever. 1. First of all open your Instagram app and go to your profile tab. 2. In the top right corner of the app screen, you will find the Settings option (three vertical dots). 3. Now scroll down and click on Story Settings. 4. As the Story Settings open, you will get the option “Save”. Under the Save option, you will find Save to gallery.